LONDON -- Toyota and Nissan say they will continue to build cars in the UK despite Prime Minister Theresa May's plan to leave the European Union's single market, which could make exporting from British factories less lucrative. May's Brexit plan, outlined Tuesday, will not derail Nissan's commitment to build new versions of its Qashqai and X-Trail SUVs at its factory in Sunderland, England, CEO Carlos Ghosn said Wednesday. Toyota plans to keep its car- and engine-building plants in the UK and may take steps to increase their competitiveness if leaving the European Union raises costs, Chairman Takeshi Uchiyamada said. "We can survive this," Uchiyamada said in an interview with Bloomberg Television at the World Economic Forum in Davos, Switzerland. "In every country in the world, we don't tend to close or move factories when things like this happen and it will be the same in the UK." 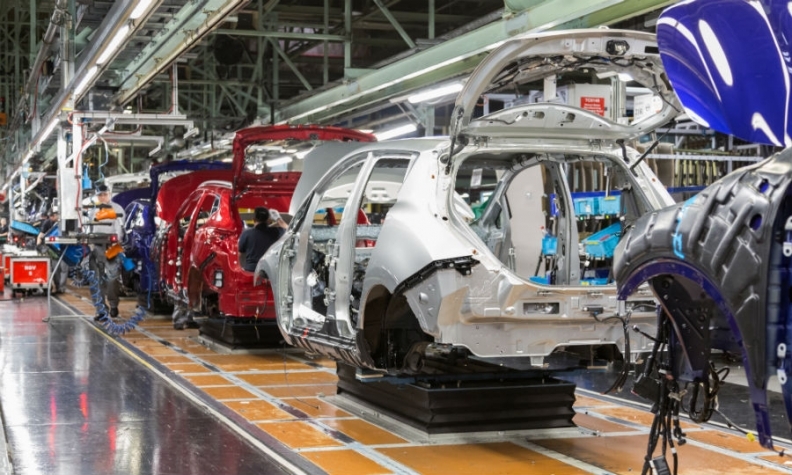 Toyota and Nissan, along with Japanese rival Honda, have led a revival in UK car manufacturing, relying on EU membership to export cars to other countries in the bloc without tariffs. The Society of Motor Manufacturers and Traders lobby group has warned quitting the single market abruptly and reverting to tariffs under World Trade Organization rules threatens the industry's viability. Until Tuesday, May's Brexit plans were shrouded in uncertainty, with auto executives and other business leaders hoping she'd opt for a softer version of Brexit in which the UK maintained membership in the single market and the European customs union, which eases cross-border movement of parts and materials for manufacturers. Nissan in October secured unspecified assurances from May's government and said it would make new investment at the Sunderland factory, the biggest auto plant in the UK From now on, Nissan will assess the plant's overall competitiveness, rather than focus on tariffs or other individual issues, Ghosn said. A plunge in the pound since the UK's Brexit vote in June could balance negative factors such as a loss of single-market membership, he added. "It doesn't change the decision," Ghosn said in a separate interview with Bloomberg Television in Davos. "Frankly, it's not a surprise." May's assurances to Nissan in October might not extend beyond the next version of the company's SUVs, said a person familiar with the situation. Because auto product cycles typically run for about five to seven years, this could mean the company would have to reassess the attractiveness of the UK as a manufacturing base after it leaves the EU. Other carmakers are having to make similar calculations. Brexit Secretary David Davis said Wednesday the transitional arrangements the government will seek could be in place until about 2021. Neither Nissan nor the UK government has disclosed details of their agreement, which pledges assistance in areas such as training and research and development to offset potential tariffs, the person familiar with the matter said. Offering such help would get easier if Britain left the single market because the country would no longer be subject to the EU's rules on state aid. Nissan and other carmakers that manufacture in the UK will lobby the government to negotiate tariff exemptions for the auto industry if the country leaves the single market, the person familiar with the situation said, asking not to be identified because the details are private. Nissan plans to approach carmakers elsewhere in Europe, which could face tariffs for their exports to Britain, to make a joint push on the issue, this person said. "Automotive companies have a great interest that solutions are found that safeguard intensive trade," said Matthias Wissmann, president of German auto industry group VDA, which represents Volkswagen Group and BMW, owners of British brands Rolls-Royce, Bentley and Mini. The UK leaving the single market "would be cumbersome and expensive," he said.